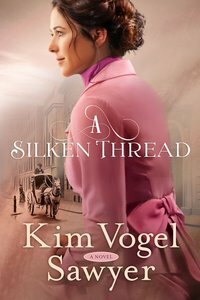 :For readers who love a heartwarming romance and a rich historical setting comes a tale of a young woman with a heavy burden, the International Cotton Exposition, and the pursuit of true love. Brendan Rochester's parents have given him an ultimatum: settle down with a wife or lose his family inheritance. At the Exposition, Brendan meets Laurel. Marrying her would satisfy his parents's command, she would look lovely on his arm for social events, and in her besotted state, he believes she would overlook him continuing pursuing rowdy adventures with his unmarried buddies. Brendan decides to woo Laurel. Willie Sharp is not well-off and must take on an extra job at the Atlanta Exposition as a security guard. When mischief-makers cause trouble in the Women's Building, Willie is put in charge of keeping the building secure. He enjoys visiting with Laurel, who seems like the little sister he never had, but his feelings for Laurel change to something much deeper. Can Willie convince Laurel that he can give her better life-even with so little to offer?